Actually, 1967 sites were purchased by ATC in 1998 from AT&T. The “fire sale” in 2001 and 2002 was do to huge tax assessments and bills that carried over on the properties and became burdensome to ATC. Municipal assessors had sky high assessments on these properties, and AT&T almost never contested an assessment. It was just too much for ATC to sustain, and non-productive sites had to be disposed of. The number was probably around 300 that were sold. In 1988, AT&T had about 250,000 employees, and the goal was a cutback to 100,000. Generous 5-year severance packages were offered to supervisory personnel when the de-commissioning of the trans-con microwave network network began a year later. 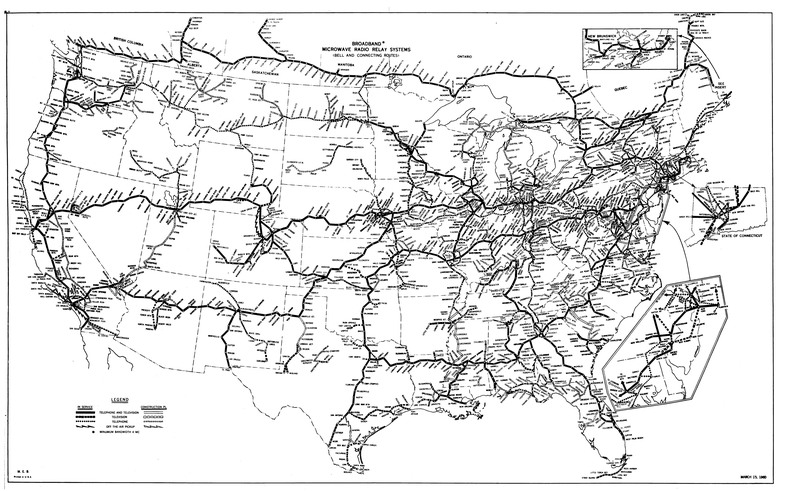 The fiber-optic network was being built near metro areas throughout the late ’80’s, and continues today. 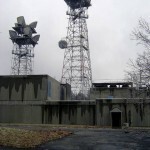 The huge bandwidth obtained with this technology, along with low noise and immense cost savings in maintenance personnel and other operational expenses dictated the cold war era radio relay sites to be dumped. These days, Wireless Internet entrepreneurs are busy making use of many of these sites for point-to-point transport and distribution to their customers in areas where there are poor facilities to transport high-speed Internet traffic. 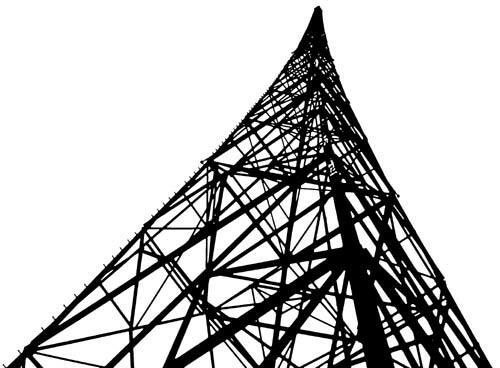 As long as there is wireless, there will always be a need for transmission towers. “The cord is invisible, dad”! Is there really one called Anarchist in British Columbia? This helps explain why during my time in the USN in the late 1980’s phone calls home could range around 3 bucks a minute! The infrastructure costs for this system had to be HUGE! There was no T1 in 1960; it came into being in 1962. The microwave and coax networks were analog multiplexed; look up terms “FDM” “supergroup” and “jumbogroup”. The coax carried ~50 Khz->40 Mhz and coast to coast, needed 1000 db of gain. The microwave needed less active gain as the horns had insane gain at the higher frequencies. The above map predates TDM and digitization. Early implementations of the wireless technology started as “TD-2”, FM microwave on 4, 6, and 11GHz and moved to SSB/AM with the introduction of AR6A. AR6A was the last analog microwave system. The digital microwave systems followed after that with the DR6, DR10, and so on. Other names of the systems were TD-3, TH, TH-3, TJ, TM, and so on. The TD-2 sites in Canada operated from 1956 by Eastern Tel and Tel, purchased by the Provincial Telcos in 1978 and shut down in the early 1980’s. Some of the towers are still standing. My Microwave Engineering days on TD 2 , TH1 , AR6 (a bell Labs single sideband system) TL, TM, TJ TH3, TD3, and then the ancilliary equipment to switch it all and have a way to restore from a remote location, kept me busy from 1967 thru almost 1985 when I was promoted and moved on to Kanasa City from St. Louis. The crew of people it took to just maintain 5 states from an engineering standpoint took 3 engineering departments, Microwave Engineering, Power, and office facility planning and cabling. The Microwave engineer, had overall responsibility to assure the Microwave portion was engineered properly and also assured Power and Cabling was done by the other departments. AT&T basically had us to long Haul and the Bell company had us to short haul, and the Bell companies did not stick with Western Electric product, There was Lenkurt and Farinon, Raytheon digital, as well as Collins digital Radio. And for us Western Electric engineers, not much in the way of training on outside vendor product. Along with the above AT&T radio, at main stations, the radio (for some channels) was just patched straight thru the office and others were dropped down to Broadband, and then further broken down to channel banks and individual circuits at a central office. At the time, Communications for public Broadcasting (CPB) all video was transmitted over TD2 systems. And there was also channels used for Commercial TV with all kinds of timed switching. And Engineering had to be done to allow all this video to be switched to various locations depending upon Television needs in many areas. CPB eventually moved to something else and so did commercial TV and those channels that had been dedicated were either retired or put to use for message circuits. 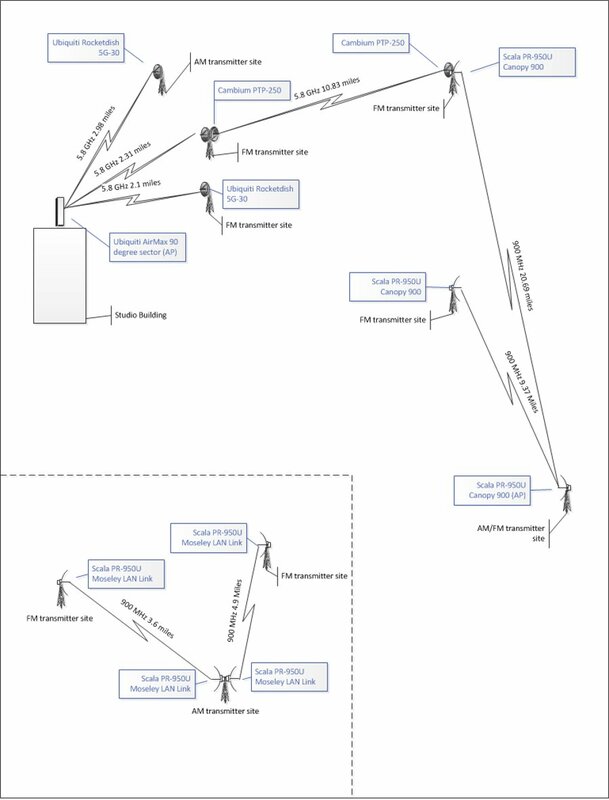 A message circuit route, as I remember could be 12 individual radio channels, (11 working, 1 protection) and each of the 11 could carry 1500 circuits each or be used for one video channel.